Our friends and neighbors in Texas, Florida, and the Caribbean have been hit hard by the recent hurricanes. Even though the full extent of the damage is not yet known, we have established a Hurricane Relief Fund. Between today and the end of 2017, you can make your financial donations. 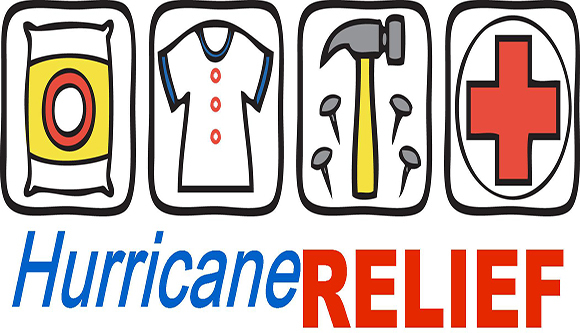 Please make your checks out to New Philadelphia Moravian Church and indicate “Hurricane Relief” on the memo line. This is a special offering that is made in addition to your regular tithes and offerings to the church. We are providing $1,000 from our Benevolence Fund to start the Hurricane Relief fund. After all the funds have been received, we will send them to the Moravian Board of World Mission for their disaster relief efforts. We will also share any information about work teams and other relief efforts that will be going to the Gulf Coast, Florida, or the Caribbean. God of mercy, God of comfort, we come before you in this time of difficulty, mindful of human frailty and need, confused and struggling to find meaning in the face of suffering. We are grateful the even as we share in the joy of Christ Jesus, we can also share abundantly in comfort in the midst of suffering. We ask the presence and strength of your Spirit. Give all who suffer the love that bears all things, believes all things, hopes all things, endures all things. We know that suffering produces endurance, endurance produces character, character produces hope, and hope does not disappoint us, because your love has been poured into our hearts through the Holy Spirit. Last Sunday was a two-fer (two special occasions in one Sunday). It was Confirmation and Pentecost. Today is also a two-fer. We are celebrating Graduation Sunday and Trinity Sunday. Actually today is a three-fer since it is also the installation of our new DCE. And that’s even more appropriate for Trinity Sunday, this day in which we consider God in three persons; one in three and three in one; Creator, Redeemer, Sustainer; Father, Son, Holy Spirit. It is joy to be able to gather as God’s people and celebrate. Last week, it was a true blessing to remember the birth of the church, when the Holy Spirit came upon the followers of Jesus and filled them with power that allowed them to become the Church. And it was a true blessing to see our young people confirm their belief in that same God- Father, Son, Holy Spirit. It was a true blessing to have them state their intention to be an active part of the Church, this church, as they live, love, and serve. go off to college and off to work. Both this Sunday and last Sunday have a surprising similarity. Our confirmands were marking a key transition in their lives and faith; our graduates are also marking a key transition in their lives and faith. Both come with much hard work, preparation, prayer; both come with lots of faith, lots of hope, and lots of love. Our confirmation class last week and our graduates this week also have something in common with the disciples in today’s gospel lesson. We take a couple of steps back in the narrative from last week’s account from Acts, to the end of Matthew’s gospel. After finding the empty tomb and seeing the resurrected Jesus, Mary Magdalene took his message to the disciples that they were to return to Galilee, where they, too, would see him. So they did, they went to Galilee and found Jesus there. And they worshiped him, even though some doubted. I’ve always found that interesting. “… but some doubted…” It’s almost a throw away line, getting overshadowed by the appearance of the resurrected Jesus and the “great commission” that he gives to his disciples. But it is too important to overlook. Far too often we, as Christians, feel ashamed when we have doubts. We don’t allow room for doubt, we are uncomfortable when do have doubt. This “throw-away” verse reminds us that it is okay to have doubts. Even the disciples, who had been with Jesus, who had watched him die, who saw him Resurrected, even some of them had doubts. Faith without doubt wouldn’t be faith, hope without doubt wouldn’t be hope. Our faith is not a blind faith, but it is an examined faith, it is a studied faith, it is an educated faith. It is a faith that has been tested, questioned, and challenged. It is a faith that allows us to have considered all the reasons to believe, and all the reasons to NOT believe, and yet we still find ourselves believing. It’s okay to doubt, it strengthens our belief. These verses, the conclusion of Matthew’s gospel, provide a roadmap (or an action plan) for Christians. They tell us what to do as followers of Jesus, as members of the church. Whether we are newly baptized or have recently confirmed our faith, whether we are beginners or graduates, young or old, these verses in Matthew show us the way. They tell us what to do whether we are coming or whether we are going. The disciples come and worship and listen to Jesus. We come to church and worship and listen to Jesus. We hear Jesus speak to us in the words of Scripture. We listen to Jesus speak to us as we pray. We hear Jesus as we listen to each other sing the songs of faith. The disciples come and worship and listen to Jesus and receive the power of the Holy Spirit. Though not as explicit as it is in Acts, it is clear that the disciples receive the power of the Holy Spirit as they gather in Galilee to worship and listen to Jesus. Otherwise they couldn’t do what he tells them to do. If they didn’t have the power and authority of the Holy Spirit, they couldn’t baptize and teach and make disciples of all nations. And we know that they did do that. Because we are here today. Having been baptized and taught and made into disciples of Jesus. We, too, have received the power of the Holy Spirit. And we are called to go and do the same for others. The disciples came to Jesus and Jesus tells them to go into the world. We come to Jesus, we come to church, and we are told to go into the world. We are called to go into the world and to do what the disciples did, to make disciples of all nations, to baptize and teach. We are called to go in the name of the Father, the Son, and the Holy Spirit. 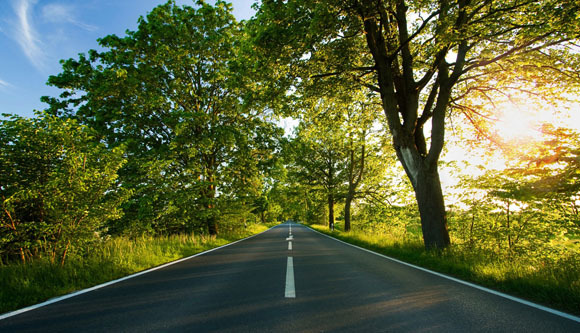 We are invited to come, and then we are called to go. The first part is about us, it is about our needs. We need to worship because we need to respond to God’s presence in our lives. We need to listen to Jesus because we know the truth of his words, the power of his teaching. We need to be reminded of his love. We need to receive the Holy Spirit because we that is how we know God. It is how we feel his presence and experience his love. The first part, the invitation to come, is about our needs, our wants, our desires. The second part, the call to go, is about others. It is about making disciples by sharing our knowledge of God. It is about baptizing them into the death (into the love) of Jesus. It is about teaching them through the power of the Holy Spirit about who God is, what Jesus did, and how the Holy Spirit does. We come in for ourselves and we go out for others. However, sometimes we get stuck in the first part. We come in and we stay in. We focus on ourselves and on our needs. We can all understand the desire to stay where we are. Our graduates, as excited as they are about having graduated, I’m sure that they are also a little bit nervous and anxious about what comes next- about leaving the place where they are comfortable, where they are at home. But they know that they can’t do that. If they want to continue to grow, if they want to fully become who God has created them to be, they must go. And we must go. We must go out into the world and make disciples. We must go and baptize. We must go and teach. As the church, we gather for worship, we come and listen to Jesus, we receive the power of the Holy Spirit. And now let us go. Let us go and share what we have- our faith in God our Creator, the love of Jesus our Redeemer, and the power of the Holy Spirit our Sustainer. 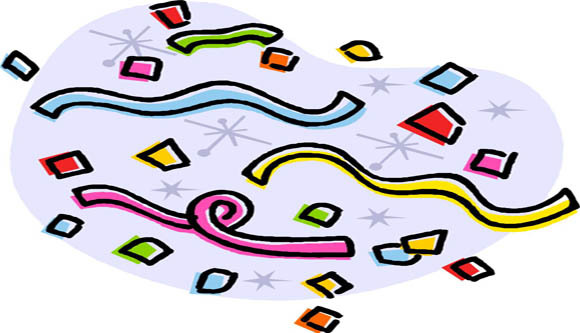 Paper Shred Event: We’re makin’ confetti! Safe, secure and professional document shredding Saturday, April 16 9 a.m. until noon. Enter from Kilpatrick St and drive thru – We Unload – you don’t even have to get out of your car! Sponsored by the Advent Sunday School class. Proceeds to benefit outreach ministries of the Moravian Church. The missions committee started the 1st meeting of 2016 with a presentation by Michael and Ceci Tesh on Ray of Hope Orphanage in Kenya. Ray of Hope currently has 16 children staying in the orphanage. There are 2 others who are away, one is studying at a Bible College and the other is studying civil engineering at the university in Nairobi. Michael reported that there are others who live at home, but come to the preschool. A well is under construction to provide a reliable source of water. The government has agreed to dig the well. Kernersville Moravian Church is contributing $8000 to provide the well casing and pump to complete the project. The well will benefit Ray of Hope and the surrounding villages. Michael intends to charge a small amount for the water to offset maintenance cost. The water will not be clean enough for drinking, but will be used for washing and gardening. They will still be dependent on rain water which is collected in a tank for drinking. A filtration system similar to the ones installed in Cuba could provide clean drinking water from the well for Ray of Hope and the surrounding villages. We will contact Kernersville Moravian about collaboration on this project. Ceci spoke about the preschool and recent government approval to begin a primary school with hopes of growing to include classes through the 8th grade. This would give them the ability to help educate the children in the village. Ceci’s prayer request: A doctor to be called to serve at the Ray of Hope Clinic. It is currently served by a nurse who is unable to give shots or higher medications and treatment. This would be a great benefit to Ray of Hope and surrounding villages. Jane Wynne stepped down as chair at the end of 2015. So the committee elected Evon Crooks chair, Joe Jarvis Treasurer; and, Betsy Johnson Secretary. Meeting and speaker schedule set through April. 2016 Budget was reviewed and approved with one addition and one correction. $500 was added to the budget for Alaska Bible Seminary in Bethel. 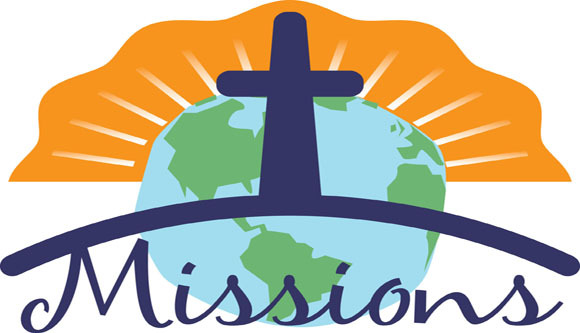 George Goff was removed and replaced with Wayne Miller in the budget because he has been removed for funding by the Board of World Missions. 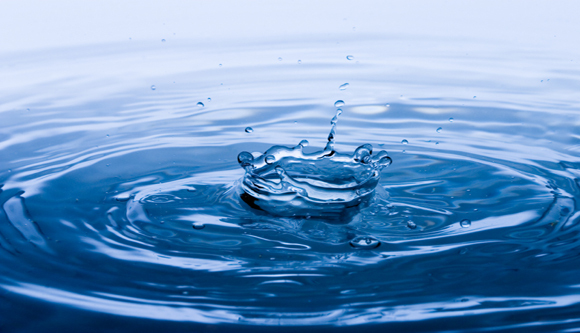 Each time we take a drink of water the thought of it being unclean probably doesn’t even cross our minds. We have been so blest with clean, drinkable water. We don’t have to worry about diseases such as e coli, chorea, and diarrhea etc. from unclean water. But unfortunately for our brothers and sisters in Cuba that is a daily fear. In one particular village of Santa Y Anna, Camaguey where we have a Moravian Church lives about 3,500 people. Their wells are very shadow and often only a few feet from the septic systems. The water is highly contaminated with many bacteria including E Coli. At least 10% of the people there have contacted chorea from this filthy water. The vast majority of these people are children. In May of this year Bishop Sam Gray, Evan Crooks, Bruce Ledwith and myself visited this village to survey what can be done to eliminate this problem. We installed a temporary system at the house of the pastor where the church is also located. After having the water tested there and then brought to a lab here in the states the results proved that it was completely clean of all germs including e coli. The church there currently worships 40+ people and continues to grow at a good pace. To allow for this growth, Aldo, the pastor, is in the process of building an addition on the back of his house. This will allow for much better worship and give them an official church building. Our next step is to install a permanent system in the building using his current cistern. This will allow villagers to come to the church to get clean, fresh drinking water for their use. After installation we will continue to monitor the use of the system and review test analysis. Our next step will be to install a second system at another location to take the load off of the church and to allow access to more of the villagers. We will be going down in November to start the process of reviewing and implementing the work on the system. A system like this is very expensive. We are estimating around $5,000. But with your help and God’s blessing, I am confident we can obtain this goal. At worship for 3 Sundays in a row beginning Sept. 20th we will have collection points at the commons area and in the vestibule for donations for this project. Their prayers are that better bridges, better relationships, will be built between our two countries. I hope that we too will share in this prayer with them. So on Sept. 20th, 27th, and Oct. 4th please consider a contribution. 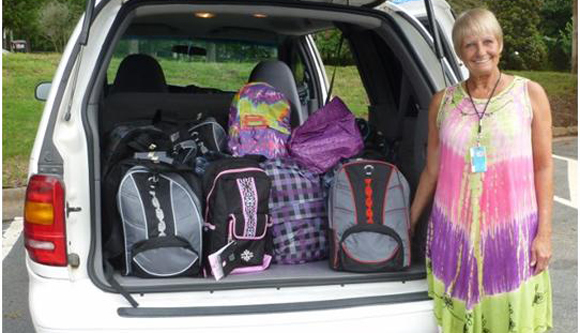 A joint venture between the Open Door Lunch and the New Friendship class was successfully completed August 20 with the delivery to South Fork Elementary School of sixty book bags filled with school supplies. The Open Door Lunch outreach ministry raised $695 to purchase school supplies to fill the sixty book bags purchased by the New Friendship Class. Many of you also donated supplies. New Friendship class members spent two fun filled days, counting, shopping, and filling the bags. Special thanks go to David and Chris Stanfield’s grandchildren, Jacob and Natalie, who kept the adults organized and focused. We even have some money left over so we are going to purchase some items in bulk for the teachers at South Fork. This project is such a gift to families who don’t have the means to purchase so many supplies. At New Philadelphia we know that serving our community is truly a Christian privilege. This article can also be read in our September newsletter; more pictures will be posted with the article at that time.